Often, when at the “age of wisdom,” young adults, ages 17-25, get their wisdom teeth. Wisdom teeth, technically known as third molars, are the last four permanent teeth a person will get, if they do in fact get them at all. Wisdom teeth are believed to have helped our ancestors with grinding plant tissue. However, the need for these additional teeth has dissipated with the emergence of agricultural diversity and a shift to a more processed human diet. Although wisdom teeth can come in with no issues, they are more often known to cause problems. Wisdom teeth can cause crowding in a mouth already full of teeth and this can affect a person’s bite. They can also become impacted which means that they don’t fully erupt, or erupt at all, but stay beneath the surface of the gum tissue embedded in the bone. 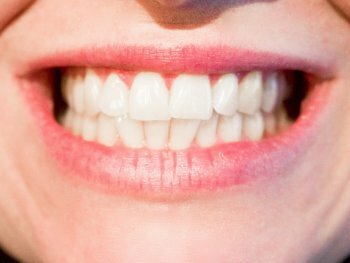 If this happens, it can cause infections, cysts, or issues in pushing up against the teeth next to them. Even if wisdom teeth do not cause an immediate problems, the dentist may recommend removing them as they could create problems later in life and are easier to take out when a person is younger. As referenced above, some people will never even develop wisdom teeth. The primary thought on why this happens is because of evolution and the reduced need for these third molars (note the change in the human diet described above). The theory is that over time human jaw size has become smaller and therefore cannot accommodate the size of four third molars. Due to the problems they can cause, wisdom teeth are commonly removed to alleviate pain, infection, risk of jaw fracture, or other problems. In addition, with so many adolescents getting braces, orthodontists like to prevent overcrowding and infection issues that stem from these molars positions and therefore often recommend removal. A dentist should make the recommendation to remove wisdom teeth on a case by case basis and an individual’s dental circumstances. For example someone may only need one wisdom tooth out while the others can remain. This is another reason why it’s important to visit your dentist regularly.